Pastor Mark Smith was saved at his home in Moses Lake, Washington at the age of twenty-two. His wife Barbie was saved shortly thereafter, and they began attending Calvary Baptist Church with their two young daughters, Stephani and Stacey. Pastor & Mrs. Smith continued to learn and grow, working in various ministries at Calvary Baptist and being trained in soul-winning. At the same time, the family grew numerically with the addition of two more children, Sarah and Stephen. Heeding God’s call to full-time service, the Smith family moved to Jacksonville, Florida, where they served faithfully in the ministries of Trinity Baptist Church, and where Pastor Smith attended Trinity Baptist College. During his time at Trinity, Pastor Smith was privileged to work extensively with the Trinity Rescue Mission & Drug Rehabilitation programs under the direction of Dr. Bob Gray. During this time, God blessed Pastor & Mrs. Smith with the addition of their fifth child, Shawna. 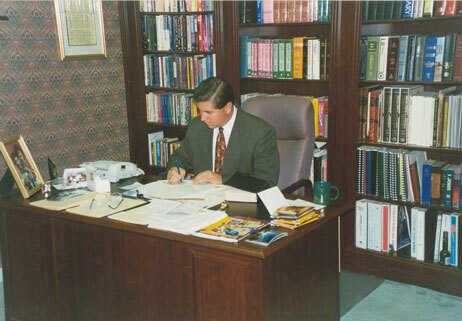 After graduating Bible college in 1987, the Smith family followed God’s leading and moved to Oliver Springs, Tennessee for a unique ministry opportunity – printing and distributing the Word of God through Mt. Pisgah Scripture Printing. For six years, Pastor Smith labored at Mt. Pisgah, traveling at home and abroad presenting the needs of the ministry. 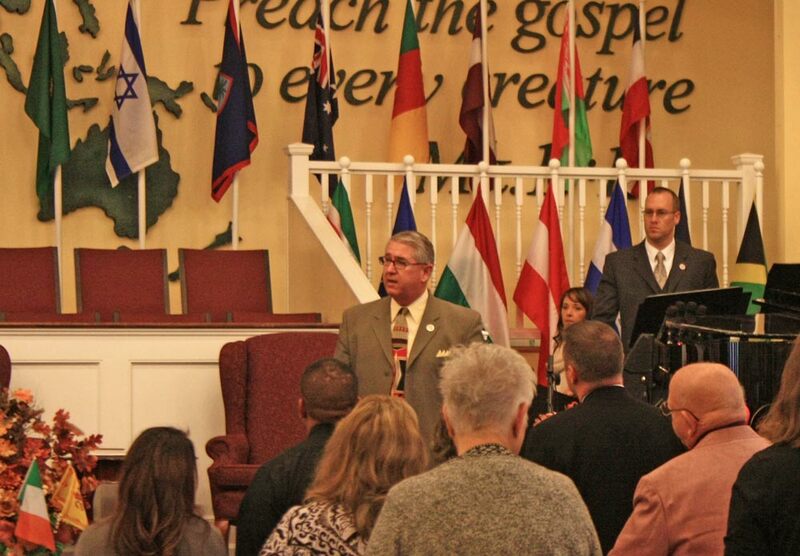 During a presentation on the West Coast, Pastor Smith was introduced to Faith Baptist Church in Tacoma, Washington. At the time, the current Pastor Michael Lane had resigned to go to the mission field of Honduras. 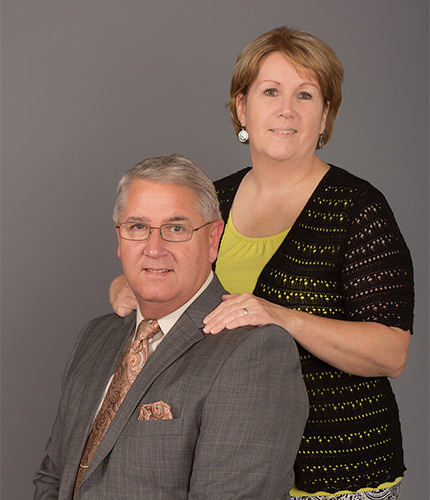 God knit the hearts of His people together, and in 1993 the Smith family moved from Oliver Springs, Tennessee to Tacoma, Washington to serve as the Pastor of Faith Baptist Church. Since Pastor Smith’s arrival, Faith Baptist Church has seen tremendous growth, with new families continually being added. Through the building programs at Faith Baptist Church, God has provided two new auditoriums as well as several remodels and renovations that created additional classroom space. The church is now moving forward with plans for a fellowship hall with a commercial grade kitchen as well as an administration complex. The church has also seen substantial growth in their Faith Promise Missions giving, bus ministry, nursing home ministry, Christian day school, and numerous other outreach ministries. In recent years, the Lord has blessed Faith Baptist Church with two unique ministry opportunities – Work of Faith Publications, the church’s tract printing ministry, and Word of Faith Scripture Printing, producing personalized and custom cover marked-edition New Testaments for churches across the country and around the world. The members of Faith Baptist Church have labored together to spread the Gospel around the globe, distributing millions of Gospel tracts hand-to-hand in just one week’s time through the Million to Mexico and Millions to Manila projects. With the Regions Beyond Missions Outreach in 2008, families from Faith endeavored to encourage and equip missionaries on five different foreign fields – Honduras, Mexico, India, Australia, and Peru – by providing outreach materials and hands-on leadership training. In 2009, the families of Faith distributed 50,000 New Testaments from Word of Faith Scripture Printing door-to-door throughout Northeast Tacoma, Federal Way, Fife, Milton, and Edgewood. We thank God for how He has privileged this “little church on the hill”, and look forward with great anticipation to what He has in store in the coming days! 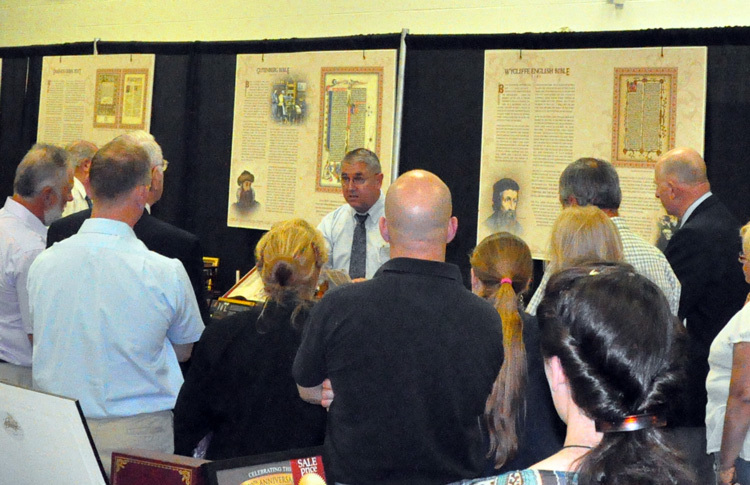 FBC has developed several printing and publication ministries. Brochures, tracts, banners, and booklets through Work of Faith Publications; personalized New Testaments through Word of Faith Scripture Printing; Christian artwork for the home, office, and ministry through Gracious Christian Living; Historical reproductions of our Bible through the Biblical Heritage Exhibition and in celebration and recognition of the 400th Anniversary of the King James Bible, displaying the history of the Bible in English.